Trying to find affordable self-employed health insurance options isn’t easy. There are many choices but not all of them are within your budget. This can make it frustrating to figure out whether or not good health insurance coverage is worth breaking the bank. 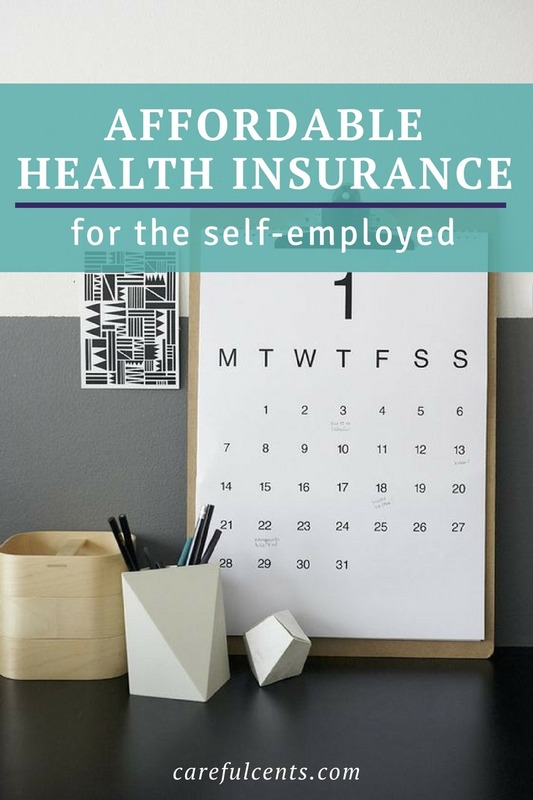 #1 Self Employed Health Insurance Pick! eHealthInsurance.com is the most popular self employed health insurance pick for 2019. If you find a plan for less than $300 jump on it! So, how can you find good coverage when you’re on a budget? Our team at CarefulCents has reviewed and researched several options to find you the best rates on self employed health insurance in 2019. On January 1, 2014, the Affordable Care Act became fully implemented. This means individuals and employers alike are mandated to have health insurance coverage — or forced to pay a fine. Thankfully though, you have options! Thanks to the health insurance marketplace, you can find and compare the best solutions to buy health insurance when self-employed. And the best part is, they are also budget-friendly. eHealthInsurance is one of the most affordable health insurance options for self-employed people. You can compare different health plans available for yourself or your family in the area you currently live. After putting in my information in (Denver, CO, 2 adults), it gave me over 100 options and the cheapest price of about $198 a month. If you’re in the pre-existing condition pool, no worries. Some states offer health plans through a high-risk pool. Depending on the severity of the pre-existing condition, a regular insurance company may not automatically decline (although I’m sure the rates reflect it). Click here to learn more about eHealthInsurance and how it can save you money every month! eHealthInsurance.com is the most popular health insurance comparison site with our readers. If you find a plan for less than $300 jump on it! A budget-friendly health insurance alternative that’s gaining popularity are Telemedicine services. Telemedicine services are just like they sound, it’s a medical service that allows you to speak to a qualified doctor via the telephone or video call. You simply register as a patient and then provide your medical history to a popular telemedicine company. Whenever you have a small medical emergency or need to ask questions, you’ll be connected to a licensed doctor. Then, depending on your specifics, they can make an educated diagnosis, provide treatment recommendations and even write a prescription if needed. They can also refer you to a primary care physician. And the best part is that they have access to all of your medical records, which helps them tailor their advice. Since this service is all done over the phone, or virtually, the cost of a checkup or consultation is drastically reduced. Obviously each company has their own set of pricing and perks, but the core benefit is the same. You can speak to a licensed doctor about any questions or illness you have, virtually at any time. Using a telemedicine service could save you thousands of dollars on yearly medical visits and checkups, as well as prevent small medical issues from rapidly becoming worse. A Health Savings Account is an account that allows you to have much more self-control over health insurance and tax-free funds. Plus, you get a tax deduction for contributing into it. So what is a Health Savings Account exactly? An HSA is an account that’s linked to a high-deductible health plan (HDHP). It allows you and your family to pay for qualified medical expenses using a separate account. Usually you get a debit card with the account, so you can easily pay for everything from prescriptions, to LASIK eye surgery and other surgical procedures. It’s an individually owned account that could potentially save you 20-30% on your medical expenses. And the good news is, you own the account! The money you contribute into an HSA belongs to you and your family to do with as you wish. The only rule is that you must spend it on qualified medical expenses to avoid paying taxes or a penalty. Any interest earned on the funds is tax-deferred and any withdrawals from the account are tax-free, when spent on approved medical expenses. No matter how long the money remains in the account, you’ll never lose it. Unlike flexible spending accounts, any money you don’t use in your HSA will remain in your account from year to year, and continue to accrue interest until pay for medical expenses. Learn more about the benefits a Health Savings Account online at the HSA Store. Consulting a doctor online about minor health issues can save you a ton of money. And not just on your medical bills but an online doctor consult can save you money on the deductible for your health insurance. Here’s how it works: Using HealthTap’s secure website you can ask a certified doctor any of your health related questions. Within a few minutes you’ll be connected to someone who can answer all your health questions and help you come up with a solution. You can also get a second opinion and finally get the peace of mind you deserve! Plus, you’ll save both time and money on health insurance and health-related problems. Click here to compare an online doctor consultation to a traditional urgent care appointment. As seen in USA Today, CNBC and FOX News, this resource is very similar to eHealthInsurance.com in what it offers. With GoHealth you just enter your state, you and your family member’s ages and genders, then answer if you’re a smoker/nonsmoker. It then displays a list of providers with different rates and deductibles. They also have more than 10,000 licensed insurance agents who are available to help match you with the best, and more affordable health care option. Think of GoHealth as your personal matchmaker and platform to help navigate your health insurance plans and costs. And the best part is they specifically offer self-employed health insurance for those of us who own our own businesses. For more info head over to the GoHealth website. In the event that you have strong beliefs against government-sanctioned programs, then you should check out a healthcare sharing ministry. Even if you simply want to stop paying the ridiculous open market health insurance prices, a sharing program is a great alternative. As a member of a healthcare sharing ministry, you get access to a “shared box”. This is where you contribute a monthly premium to help fund yours, and other members’ health care costs. With Liberty Healthshare, for example you’ll pay $135 annual fee plus our $299 as a single person between the ages of 30-64, per month. That’s a heck of a lot cheaper than the $455 per month coverage with Obamacare. You can also get dental and vision coverage discounts with healthshare caring ministries. As a self-employed business owner, you may want to seek out other organizations or unions that can offer you budget-friendly plans and other perks. Here’s a list of self-employed specific organizations that can help you get affordable health insurance. The National Associate for the Self-Employed (or NASE) is an organization that provides day-to-day support for the self-employed. Some member benefits give you access to Health Savings Accounts and life insurance policies. Annual memberships cost $25 for students and a max of $120 for general members. The cost includes health insurance premiums, which varies based on state and your personal plan. As a freelance business owner you also get access to big savings as stores like Office Depot, LegalZoom, QuickBooks, TurboTax and more. Depending on your state, the Freelancers Union also has excellent health insurance options, as well as loads of other benefits for members. One of the main things that I like about The Freelancers Union is that it’s completely free to join and start browsing their resources, health insurance costs and other insurance needs. Simply enter your zip code on their website for group rates on health insurance. The National Association of Health Underwriters (NASE) represents over 100,000 health insurance agents within the United States. It directs you to local agents that will help find the best plan for your situation as a self-employed freelancer, all while promoting affordable health care. In addition, you’ll get access to many of the same benefits and savings as you would with other organizations. Want to earn $25 for answering a few questions? Click here to participate in JOANY’s Research Study to help improve your health insurance options. You’ll get a $25 bonus paid via PayPal or Amazon gift card by simply answering some questions about your current health coverage. In order to complete the survey, you’ll have to answer around 50 questions, and you’ll be required to submit a photo of your health insurance card. After submitting, you should hear from JOANY within 1-2 business days so you can get paid. JOANY a health concierge that helps individuals enroll in affordable health plans. This company also assists with everything in between doctor visits and medical bills to ultimately save you time and money. Click here to earn $25 by completing the JOANY Health Insurance Research Study. The main point of all of this is that it REALLY depends on where you live and who you are covering. 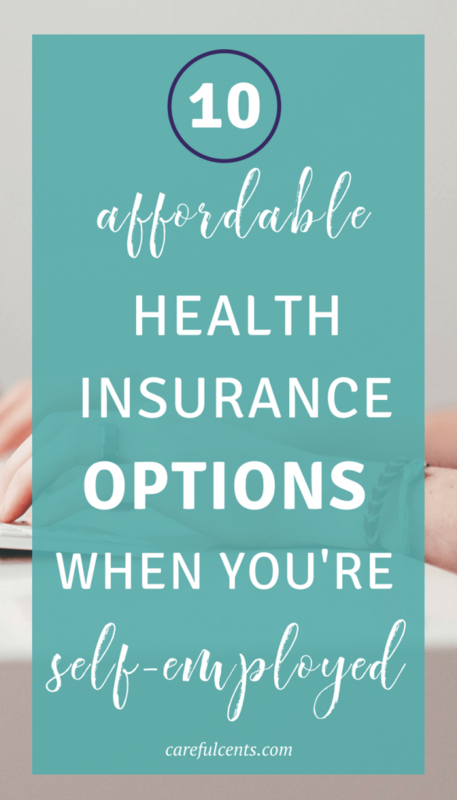 These resources should give you a good starting point for finding affordable health insurance coverage as a freelancer. It will also keep your mind at ease knowing that you and your family are protected if a medical emergency arises. And you won’t have to pay a high penalty on your taxes next year! Use the link below to sign up to now.